About 98% of the human genome consists of non-coding DNA and more than half harbors repetitive sequences. At the moment, the function of most of these non-coding elements remains elusive despite an association of several of these elements with diseases such as cancer, diabetes and aging-related disorders. This is partly due to the fact that the modern molecular biology toolbox is adapted to research protein-coding genes. The study of protein binders to non-coding DNA sequences and RNA structures is an attractive entry point to examine the function of non-coding elements. To that end, we have established a quantitative mass spectrometry approach to identify proteins binding to nucleic acids. Applying this technique to telomeres, repetitive DNA at the extremity of chromosomes, we identified previously unreported telomeric DNA- and telomeric RNA-binders. Our work serves as a blueprint to functionally dissect additional repetitive elements as well as other important non-coding loci. The expansion of genome size in the eukaryotic lineage is accompanied by a substantial increase in the amount of non-coding DNA elements. In the human genome, these regions comprise about 98% of the entire genome. Despite this high amount of non-coding DNA, most functional analyses have focused on the role of protein-coding genes. At the same time, protein-centric techniques traditionally dominate functional analysis. Such techniques include various immunoprecipitation approaches of the protein of interest and subsequent sequencing of the attached DNA/RNA species. While the availability of deep sequencing approaches has created a plethora of methods to analyze genome- and transcriptome-wide protein binding, these methods remain protein-centric. In particular, repetitive elements are usually excluded from analysis as mapping is ambiguous due to the short read length of current sequencing technologies and the fact that genetic manipulations are less straightforward compared to single loci. To access previously unexplored genomic elements, DNA-centric techniques that can be performed in an unbiased manner are valuable complementary approaches in the current research environment. In an effort to establish a nucleic acid-centric approach that is generally applicable to non-coding elements, we focused on telomere-binding proteins. Telomeres are the molecular caps at the end of chromosomes and in vertebrates they consist of hundreds to thousands of repeats with the motif TTAGGG. Due to the end replication problem and active end processing telomeres shorten with every cell division, ultimately leading to cellular senescence. Cancer cells would eventually share this fate. However, they developed two mechanisms to defy telomere shortening: 85% of all tumors reactivate the expression of the reverse transcriptase telomerase which adds telomeric repeats de novo, while the other 15 % use a recombination-based mechanism, termed Alternative Lengthening of Telomeres (ALT). Telomeres represent an example of repetitive non-coding DNA with a well-studied functional role. Using a DNA pull-down assay based on in vitro reconstitution combined with quantitative mass spectrometry, we identified HOT1 as a direct telomere binding protein. In vivo, HOT1 acts as a dynamic telomere-binding protein with increased telomere association during active telomere elongation. In agreement with this, subsequent experiments have shown that HOT1 likely contributes to telomerase recruitment. We have since extended this approach and systematically investigated telomere-binding proteins in 16 vertebrate species, creating a phylointeractomics map of telomeres from zebrafish to human. Among the most conserved factors, we identified ZBTB48 as another direct telomere-binder, which – diametric to HOT1 – limits telomere elongation. In addition to its telomeric function, we demonstrate through a combination of RNA-seq, ChIP-seq and expression proteomics experiments that ZBTB48 also acts as a transcriptional activator, showcasing how functional genomics techniques can be combined with our nucleic acid-protein interaction studies. We now apply our approach to investigate less characterized repetitive regions of the genome. Bluhm A., Viceconte N., Li F., Rane G., Ritz S., Wang S., Levin M., Shi Y., Kappei D.#, Butter F.# (2019) ZBTB10 binds the telomeric variant repeat TTGGGG and interacts with TRF2. Nucleic Acids Research: gky1289. Tay L.S. *, Krishnan V.*, Sankar H., Chong Y.L., Chuang L.S.H. Tan T.Z., Kolinjivadi A.M., Kappei D., Ito Y. (2018) RUNX Poly(ADP-Ribosyl)ation and BLM Interaction Facilitate the Fanconi Anemia Pathway of DNA Repair. Cell Reports 24(7): 1747-1755. Jahn A. *, Rane G.*, Paszkowski-Rogacz M., Sayols S., Bluhm A., Han C.T., Draškovič I., Londoño-Vallejo J.A., Kumar A.P., Buchholz F.#, Butter F.#, Kappei D.# (2017) ZBTB48 is both a vertebrate telomere-binding protein and a transcriptional activator. EMBO Reports 18(6): 929-946. Rajagopalan D., Pandey A.K., Xiuzhen M.C., Lee K.K., Hora S., Zhang Y., Chua B.H., Kwok H.S., Bhatia S.S., Deng L.W., Tenen D.G., Kappei D., Jha S. (2017) TIP60 represses telomerase expression by inhibiting Sp1 binding to the TERT promoter. PLoS Pathogens: e1006681. Kappei D.*, Scheibe M.*, Paszkowski-Rogacz M., Bluhm A., Gossmann T.I., Dietz S., Dejung M., Herlyn H., Buchholz F.#, Mann M.#, Butter F.# (2017) Phylointeractomics reconstructs functional evolution of protein binding. Nature Communications 8: 14334. Casa-Vila N., Scheibe M., Freiwald A., Kappei D., Butter F. (2015) Identification of TTAGGG-binding proteins in Neurospora crassa, a fungus with vertebrate-like telomere repeats. BMC Genomics 16(1): 965. Machyna M., Kehr S., Straube K., Kappei D., Buchholz F., Butter F., Ule J., Hertel J., Stadler P., Neugebauer K. (2014) The coilin interactome identifies hundreds of small noncoding RNAs that traffic through Cajal bodies. Molecular Cell 56(3): 389-399. Scheibe M.*, Arnoult N.*, Kappei D., Buchholz F., Decottignies A., Butter F.#, Mann M.# (2013) Quantitative interaction screen of telomeric repeat-containing RNA reveals novel TERRA regulators. Genome Research 23(12): 2149-2157. Kappei D.*, Butter F.*, Benda C., Scheibe M., Draškovič I., Stevense M., Novo C.L., Basquin C., Araki M., Araki K., Krastev D.B., Kittler R., Jessberger R., Londoño-Vallejo J.A., Mann M., Buchholz F. (2013) HOT1 is a mammalian direct telomere repeat-binding protein contributing to telomerase recruitment. EMBO Journal 32(12): 1681-1701. Chakraborty D., Kappei D., Theis M., Nitzsche A., Ding L., Paszkowski-Rogacz M., Surendranath V., Berger N., Schulz H., Saar K., Hubner N., Buchholz F. (2012) Combined RNAi and localization for functionally dissecting long noncoding RNAs. Nature Methods 9(4): 360-362. 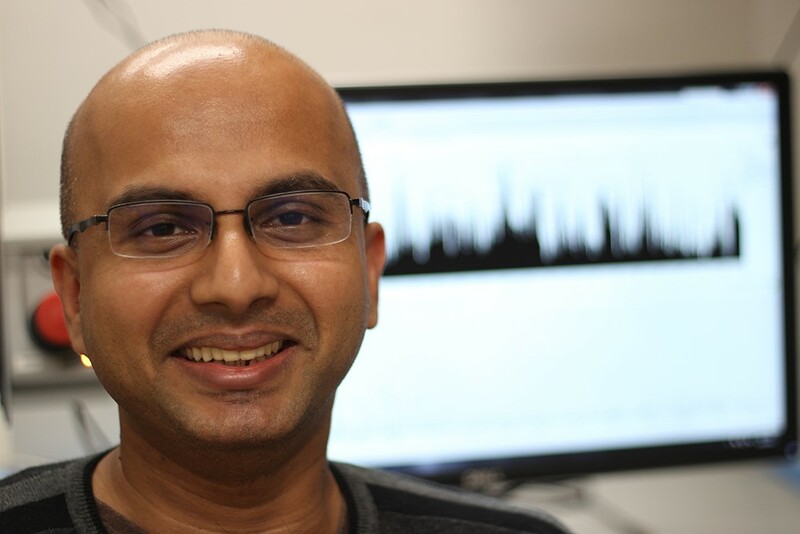 Vineeth earned a PhD from the Nanyang Technological University, exploring the structures of DNA G-quadruplexes, and spent a postdoctoral stint at New York University Abu Dhabi. 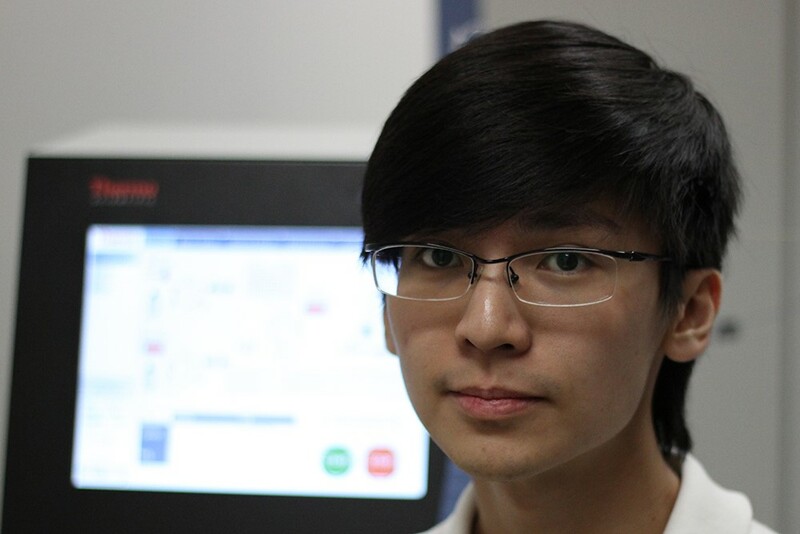 In our group, he is applying his bioinformatics skills to the analysis of repetitive elements and to the development of novel analysis pipelines within the Quantitative Proteomics Core. 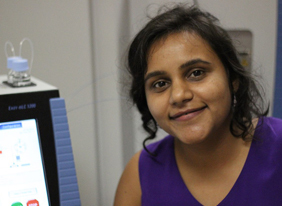 After earning both a Bachelor and Master from the University of Pune, Grishma completed a PhD at the National University of Singapore, studying telomere length dynamics in neurodegeneration. At present, she is functionally characterizing novel telomere binding proteins. Charlene is a Bachelor of Chemistry graduate from the National University of Singapore and holds an Advanced Diploma in Medical and Pharmaceutical Technology from Ngee Ann Polytechnic. 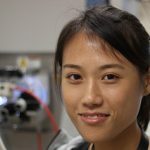 Within our team she is the expert for quantitative proteomics workflows and she applies these skills for the Quantitative Proteomics Core. 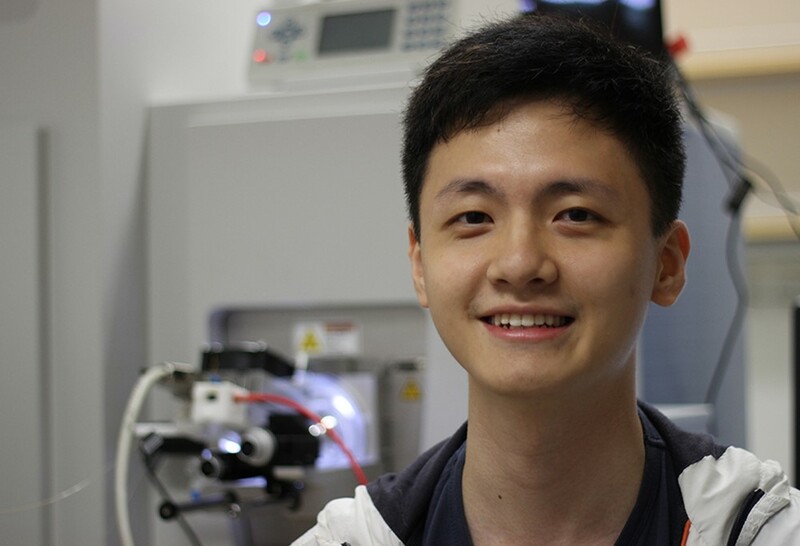 Chai Yeen obtained a Bachelor of Biotechnology with Honours from the University of Queensland, Australia. Her research now in the lab focuses on exploring the role of non-coding mutations in T-cell acute lymphoblastic leukemia. Boon Haow graduated with a Bachelor in Life Sciences from the National University of Singapore. Since joining the lab, he is aiming to de-orphanize highly recurrent non-coding mutations in various cancers. 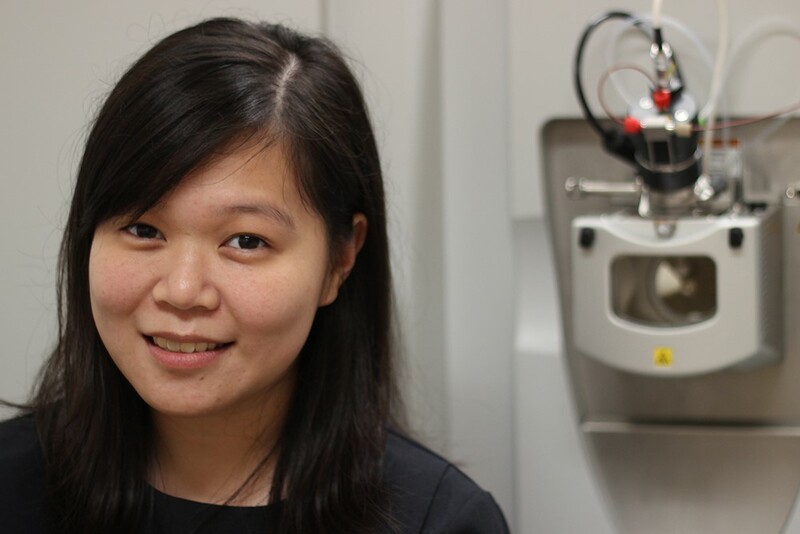 Before joining our team, Wai Khang finished a Bachelor in Life Sciences at the National University of Singapore. As part of his PhD studies, he is currently investigating the in vivo promoter composition of critical factors in stem cells and cancer cells.